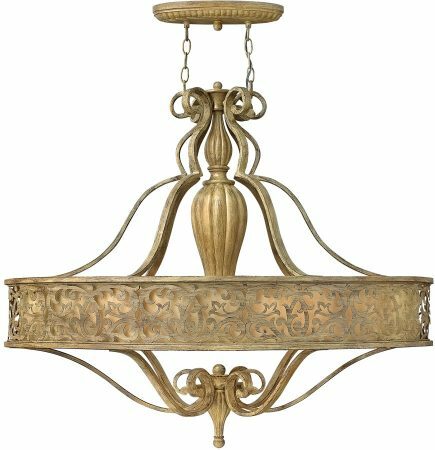 This Hinkley Carabel large 6 light oval chandelier in brushed champagne finish features designer style and flourishing pierced metalwork that creates a stunning artistic design. The elegant scroll detail inset ivory linen shades and etched diffusers add to the beauty of this collection. 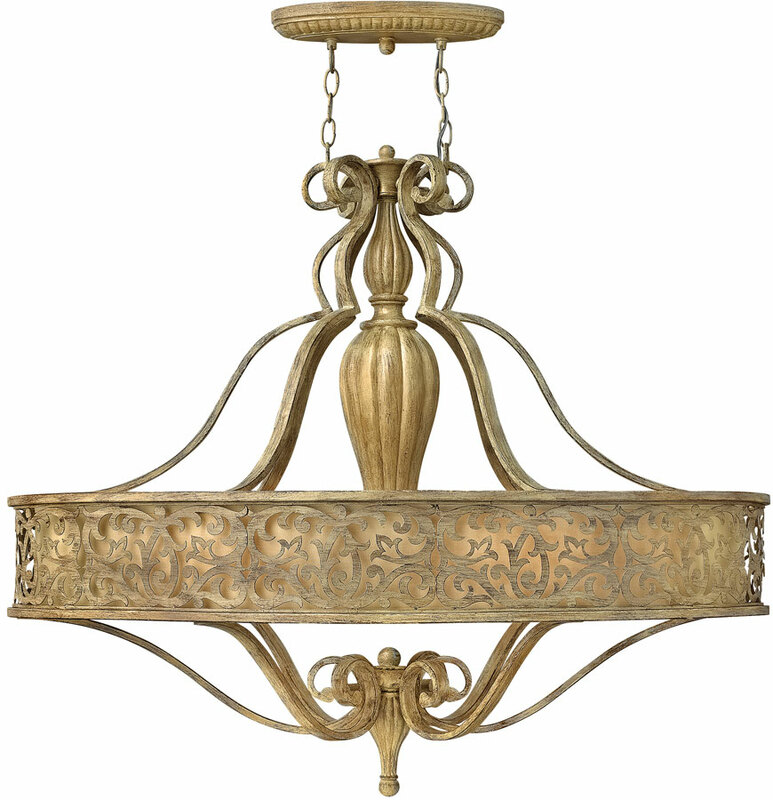 With a large oval ceiling plate and two chains supporting scrolled arms, detailed central column and oval metalwork frame. The oval outer shade features a precision cut scroll pattern and is inset with a contrasting ivory linen shade. Fitted with an etched glass lower diffuser beneath the six lamp bulbs for a softer mellow light. The lower scrolled metalwork and detailed bottom finial finish the design perfectly. Supplied by Elstead Lighting and designed in the USA by Hinkley Lighting, founded in 1922 in Cleveland, Ohio. Their long heritage combines with a pursuit of innovative design to create modern and contemporary lighting such as the Carabel large 6 light oval chandelier in brushed champagne finish featured here.